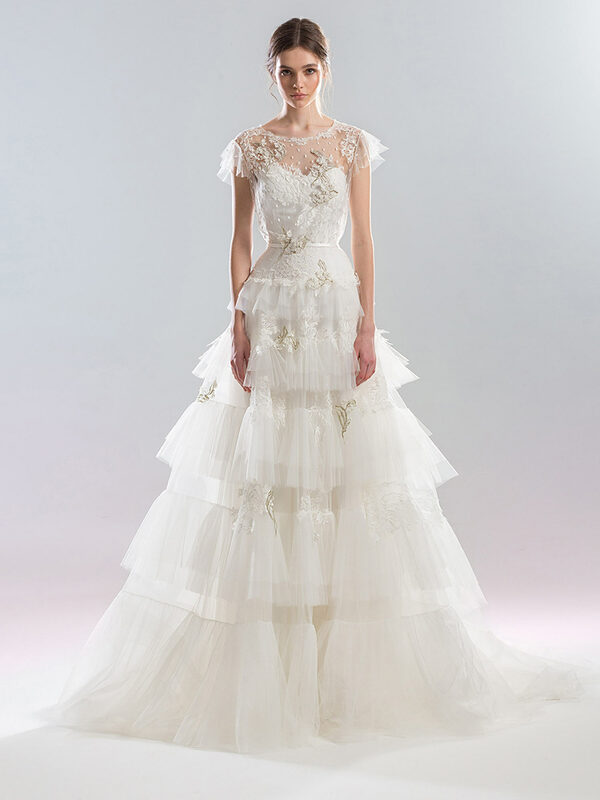 Fun and feminine embodied in this ruffled A-line wedding dress with illusion neckline and tiered tulle skirt. The illusion neckline covers a sweetheart bodice and is both embellished with flowers and embroidered with lace to create the most detail. 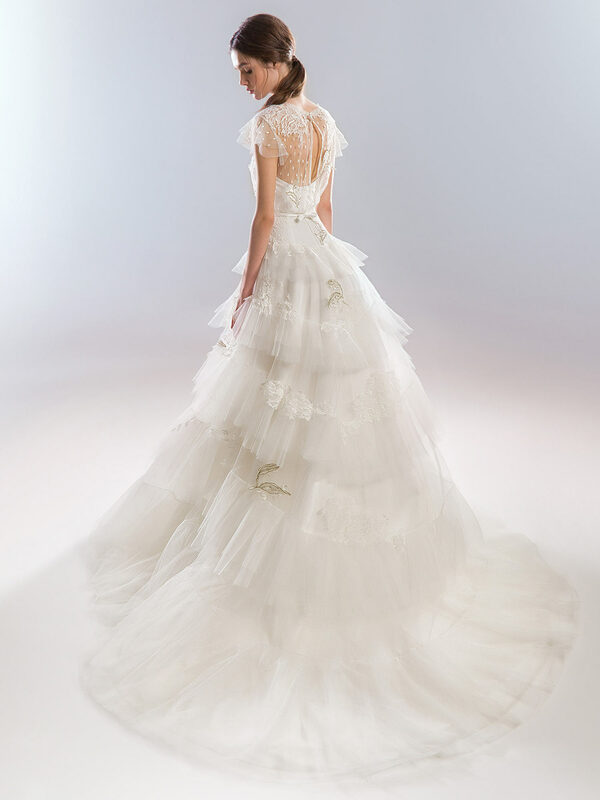 The fluttery cap sleeves pair perfectly with the long tiered skirt. The gown is finished with a keyhole back and bow.